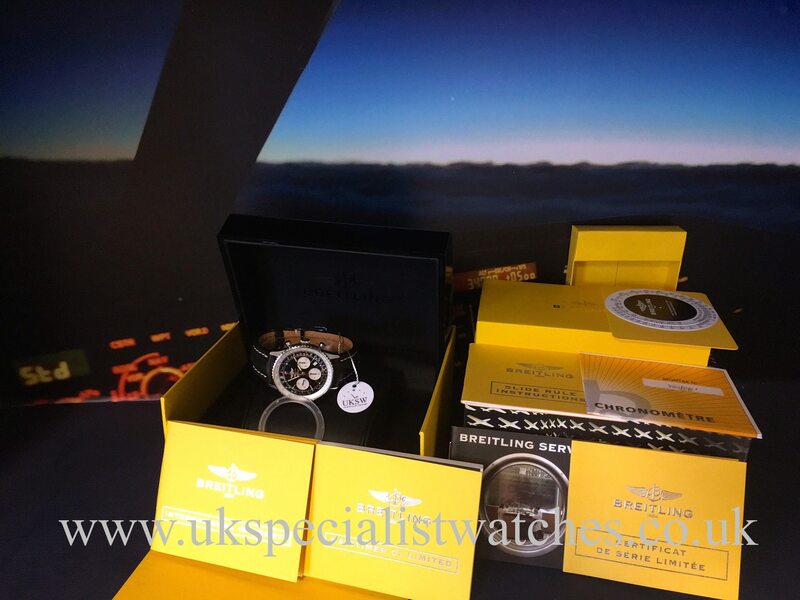 Breitling Navitimer 01 is one of the most collectable Breitling’s available on the market today. 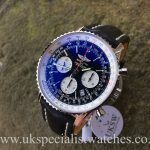 Limited to only 2000 pieces worldwide. 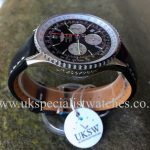 43mm stainless steel case, black dial with ivory white sub dials and large red seconds, applied luminous hour markers. 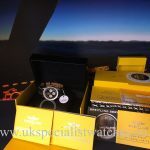 Glareproof scratch resistant sapphire crystal glass. 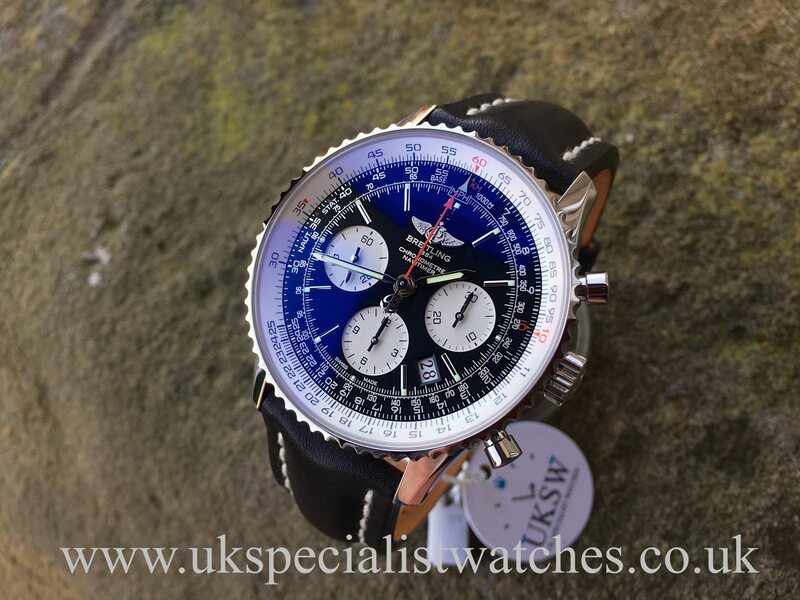 Breitling Calibre 01 with an impressive 70 hours power reserve which powers the self-winding chronograph movement. 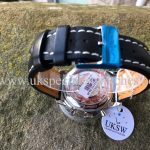 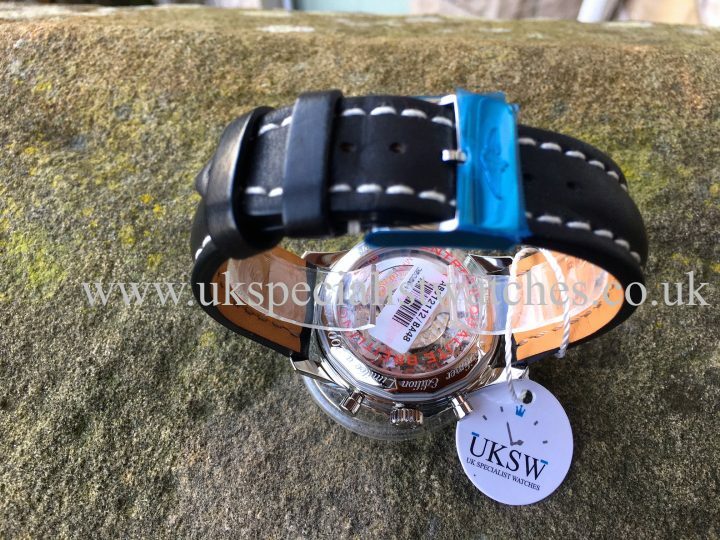 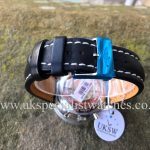 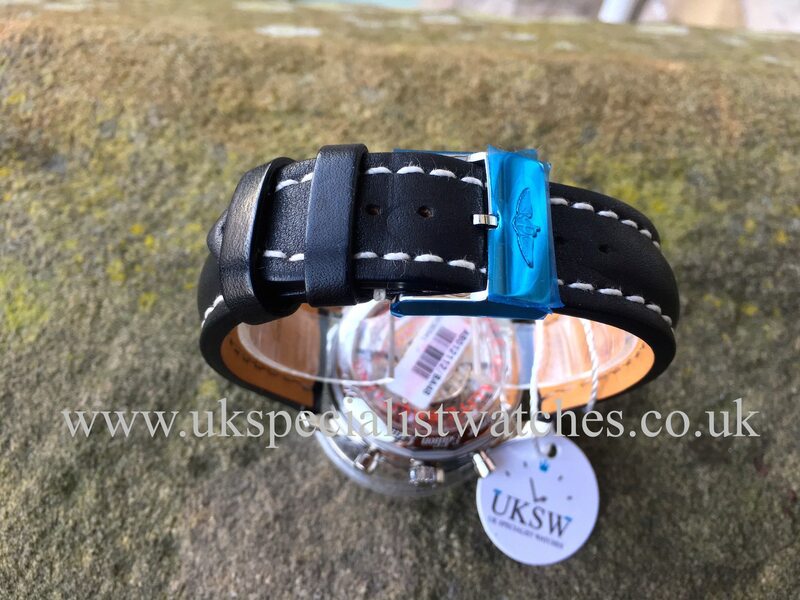 Black croc strap with white stitching and stainless steel buckle with the original factory blue sticker from new. 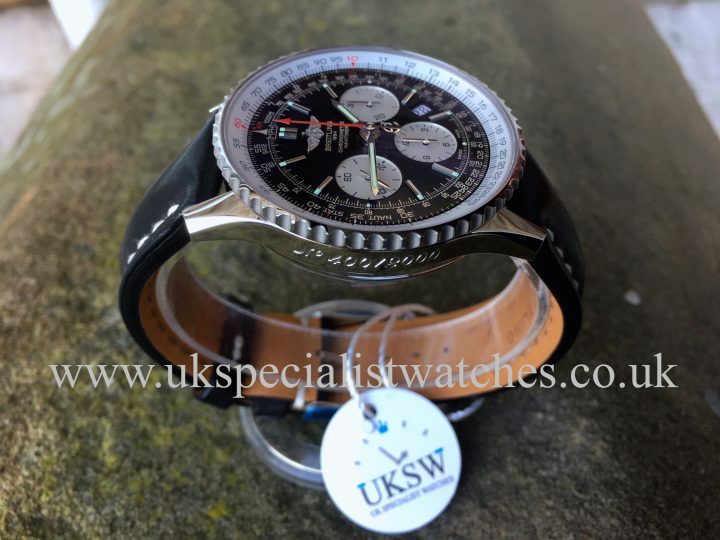 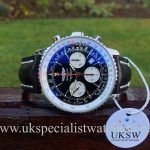 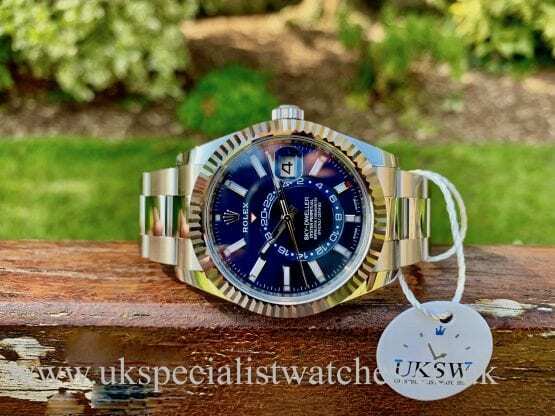 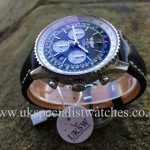 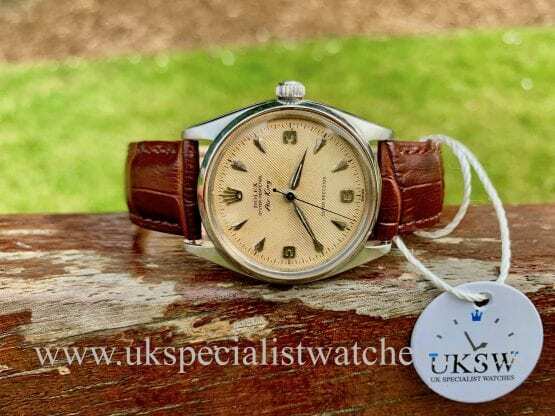 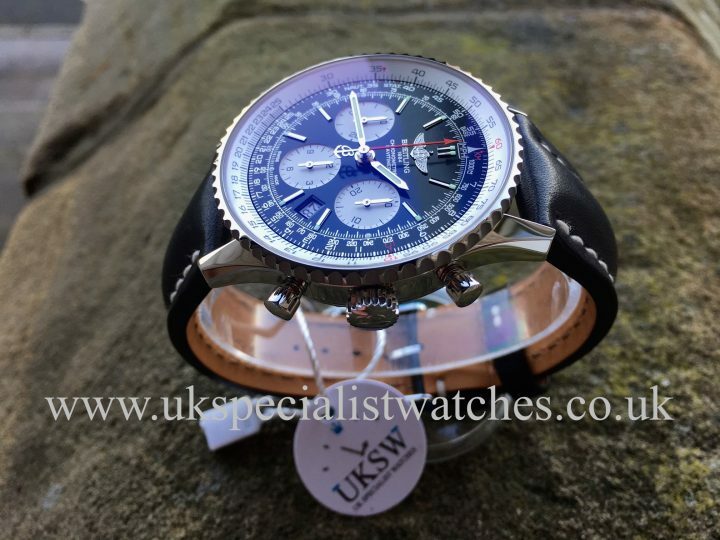 The completely UNUSED/UNWORN example was supplied new in June 2011 and comes complete with all boxes, booklets, international warranty booklet, limited edition booklet 400/2000 examples, chronometer certificate, slide rule instructions, tachymeter and Navitimer booklet. 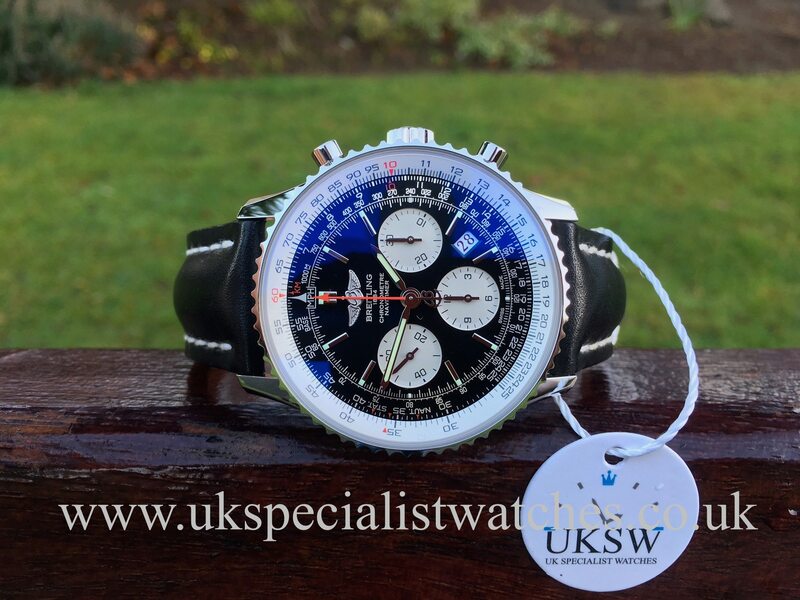 Number 0400/2000 pieces worldwide.